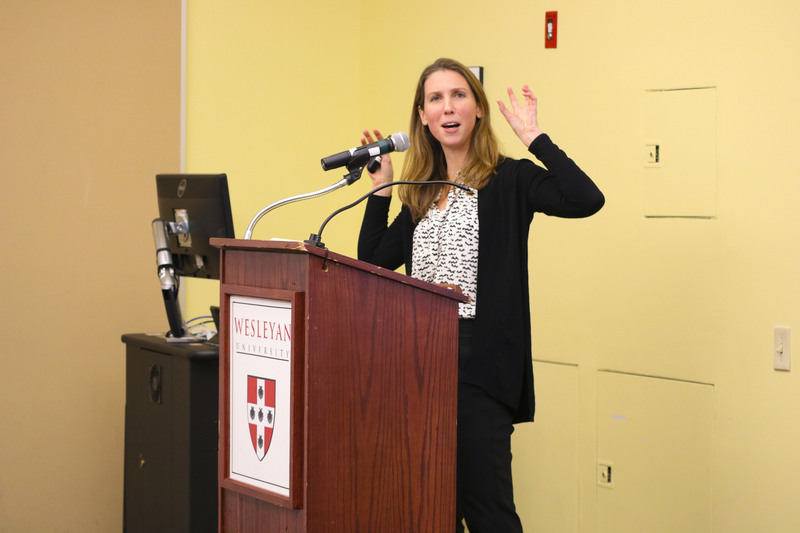 On Nov. 14, the Nathan Cummings Foundation and the Writing Certificate Program hosted New Yorker writer Sarah Stillman. 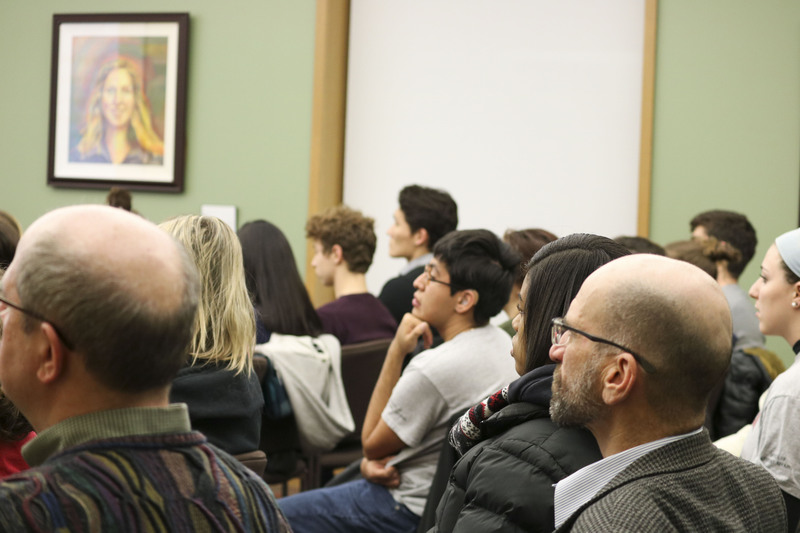 The talk, titled “Journalism and Social Justice,” focused on using the power of journalism and storytelling to promote social justice values. Stillman currently works as a staff writer for The New Yorker, where she reports on criminal justice reform, immigration, and other policy issues. Her past work has appeared in The Nation, The New Republic, Slate, The Atlantic, The Washington Post, and has been included in “The Best American Magazine Writing 2012,” as well as “The Best American Magazine Writing 2017.” Stillman also directs the Global Migration Project at the Columbia Journalism School and is a 2016 MacArthur Fellow. After University Professor of English Anne Greene introduced her, Stillman outlined five mandates for journalists seeking to write social justice stories: Train your eyes for the margins (to discover a new angle on a big story), don’t wait for permission (just show up), get granular, get systemic, and get kinetic (get moving). Rejecting the idea that journalism should maintain objectivity in its reporting, Stillman proposes that journalism’s essential interest lies in making the world a more just place by uncovering the truth. 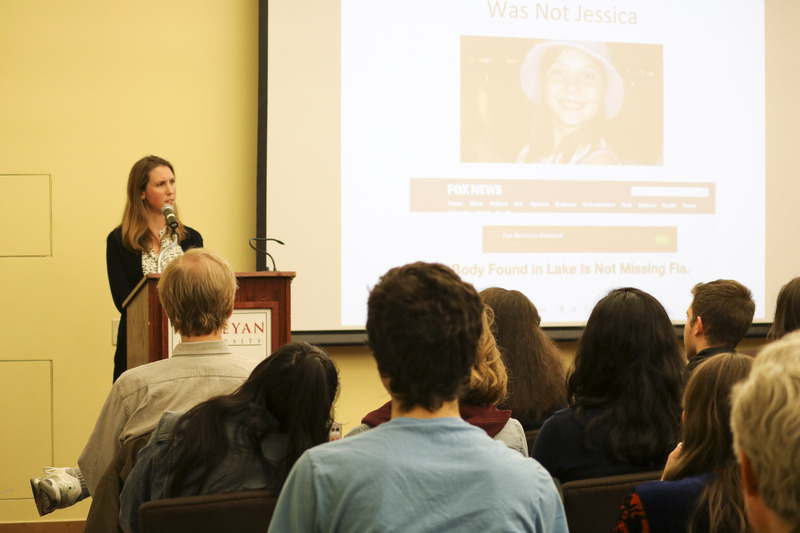 Stillman discovered the first mandate—train your eyes for the margins—as she was watching Fox News at the gym during her senior year at Yale University during the media frenzy following the abduction of Jessica Lunsford. Stillman was puzzled why this other, unnamed body didn’t warrant the same coverage as Jessica’s, so she traveled to where the body was discovered. Eventually, she uncovered the story of Donna Julane Cooke. Stillman found that Cooke had been charged with a few petty crimes but couldn’t pay her court fees, so she went to work for the police to pay for the funds. The job given to Cooke by the police, as Stillman learned, was dangerous and was what led to her death. Stillman used this story to publish a piece on how informants are often placed in life-threatening situations. This ended up being one of her first pieces for The New Yorker. Stillman then dove into the second mandate—don’t wait for permission, just show up—by recounting her experiences of reporting from the United States’ military bases in Iraq. Unsponsored by any publication, Stillman interviewed international workers, hearing their stories of abuse, sexual assault, and negligence on the bases. Stillman sees an essential tool of uncovering injustice within narratives by emphasizing the power of humanization. This means providing the reader with someone they can connect to and empathize with, in order to understand the significance and magnitude of the injustices being experienced. She described coming to terms with this idea after originally attempting to utilize the shock value of the litany of abuses her subjects experienced in Baghdad. After pitching her story for a year and only hearing rejections, she finally landed a pitch with a prestigious publication, only to be rejected once more. “This editor told me: ‘If you could repitch this to me and tell me in the Hollywood movie version of this story who Julia Roberts would play, then maybe I would consider it,’” Stillman said. After describing the last three mandates, Stillman opened the talk up for a Q&A. After she mentioned that only three percent of the reporting she does might end up in her final article, one student asked how she discriminated between which stories to include and which to leave out.